One of the most stressful events you can face as a driver, a homeowner, or a business owner occurs when someone claims they were injured due to your negligent actions. This most often arises from traffic accidents, but it can also arise from slip and fall accidents, dog bites, construction accidents, or allegedly defective products. The first question that has to be answered is whether you are legally responsible for the injury. If you rear-end someone or run a red light, then your negligence is probably fairly clear. However, in other situations, your negligence may not be clear. For purposes of this article, let’s assume you injured the person due to your negligent actions. So what does Wisconsin Law allow an injured person to recover from you? 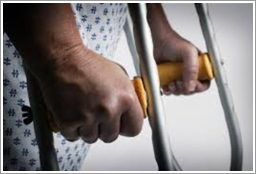 Past Medical Bills incurred for injuries related to the accident. Future Medical Bills if those injuries are permanent. Past Wage Loss due to the accident. Future Income Loss, if that person is unable to return to their former profession. Past Pain & Suffering which resulted from their injuries. Future Pain & Suffering if the injuries are expected to cause pain in the future. Loss of Consortium for the spouse of an injured person resulting from their loss of services. Property Damage they may have suffered in the accident. Luckily, the majority of legally-compensable injuries are not severe or permanent. In fact, most claims are usually resolved by the insurance carrier before a lawsuit is filed, or before the case goes to trial. However, some cases go to a jury trial, and the decision about who is at fault and how much to award the injured person is left in the jury’s hands. Sadly, fatalities can sometimes result from accidents. In those cases, Wisconsin law allows “Wrongful Death Actions” by the deceased person’s personal representative, surviving spouse, domestic partner, child, parent or guardian. Conscious Pain & Suffering, if any, before the person died. Loss of Future Income to the person’s survivors, which can be very large if the person was young or a high wage earner. Loss of Society & Companionship. These are damages that the survivors suffer from the loss of that person’s emotional support. Wisconsin has set the following caps on this element of damages: $350,000 for an adult and $500,000 for a child. Pre-Death Loss of Society & Companionship. If the person survives the accident, but dies at a later date due to the accident, the survivors may be entitled to pre-death loss of society and companionship which is NOT subject to the caps listed above. Keep in mind that you would be responsible for compensating an injured person, or their survivors, for their damages regardless of how much insurance you decided to purchase. When our agents recommend liability limits in excess of $500,000, and offer to quote additional limits in the form of an umbrella policy, they are looking to adequately protect you in the event of an unfortunate accident for which you may be found liable. Please talk to your Knowledge Broker about any concerns you have about liability limits. He or she will explain all options available to you and the costs involved. This material is for informational purposes only and not for the purpose of providing legal advice. R&R Insurance Services, Inc. is not a law firm. You should contact your attorney to obtain advice with respect to any issue or problem specific to you or your business. The information contained in this document is intentionally condensed and a summary of statutes and court findings. Topics: Wisconsin, Safety, Claims, Personal Insurance, wrongful dealth, Business Insurance, injury responsibility, negligent actions, bodily injury, injury, what can i be sued for?